Some Android mini PCs come with cameras, for example Measy U2C or CS928, but depending on firmware support, most will also take a USB webcam, and the obvious application is for video conferencing with Skype or Google Hangout. 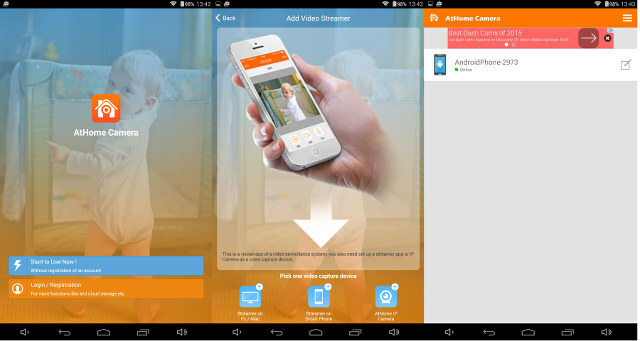 But I’ve just found out an app called “AtHome Video Streamer” can transform any Android device with camera support into as IP camera for security or monitoring. The app will show with the name AVS, and it should detect your camera automatically, and show a live feed. 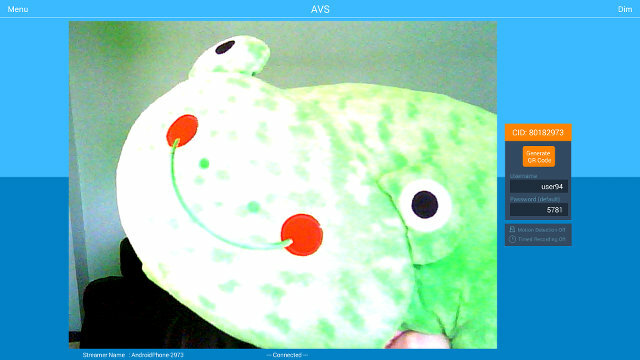 I installed the app in Zidoo X9 TV box to which I connected a UVC USB camera in order to monitor… my chameleon plush / pillow. X9 camera support might need to be improved, as I lost access to the webcam a few times. You don’t have many options in AVS app, except Dimming the screen, and change the streamer name, username and/or password. So the next step is to install AtHome Camera for Android or iOS on the device you’ll use for monitoring. The first time, you’ll go through a wizard, asking you to optionally register/login, whether the streamer is located on a PC / Mac, Android / iOS smartphone, or AtHome IP Camera. I selected Android/iOS smartphone, clicked on “Generate QR code” on in the Streamer app, scanned it with my tablet, and the new IP camera was properly detected, and I could check what my plush was up to! There are some options on the bottom of the app to record video manually, take a screenshot, mute audio, talk through the mini PC’s speakers, and so on. 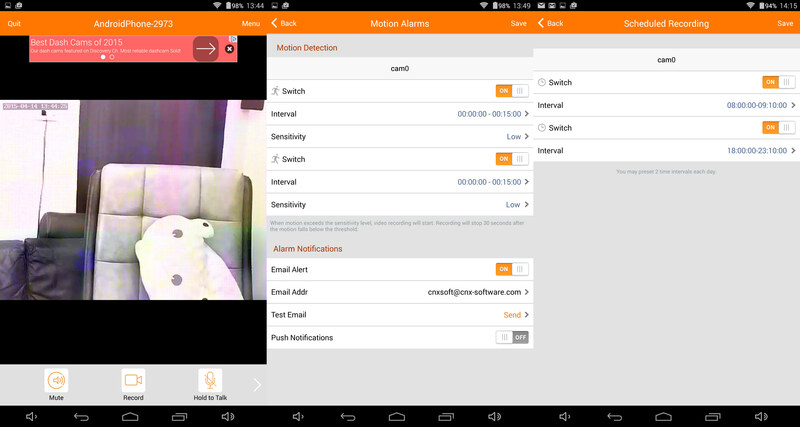 Motion detection and timed recording are also available after registration with the service, and both worked fine. Interval is the start and stop time during the day where you can to automatically record or enable motion detection. You can then go to the mobile app to watch the 30 seconds clip automatically recorded upon motion detection. Via MiniAndroidPC who tried it with their MK9 and MK9s TV boxes (aka IPPLI ip.i9). Interesting. Is there a specific type of USB camera you need, to be compatible with Android? Or will it take whatever? Any camera that works with Linux should do. and it’s open sourced, so you may modify according to your requirements.